A prenuptial agreement, or prenup, is an agreement made by a couple before they marry detailing how they prefer their assets to be divided should they divorce. With nearly half of marriages ending in divorce, a prenuptial agreement is a prudent mechanism to influence how the family courts redistribute the property and assets. There is no rule that says prenuptial agreements are always followed by UK courts. In most cases, however, the court will be persuaded to implement the provisions of a prenuptial agreement provided that it has been properly drawn up and will not lead to an unjust result. It is likely that they will be considered persuasive and can have a significant bearing on the financial outcome of any given case. However, if the circumstances of either party change drastically in the future, particularly if a child is born, the court may not bind the parties to the agreement. If you are looking to draw up a prenuptial agreement then contact us today to speak to a solicitor. 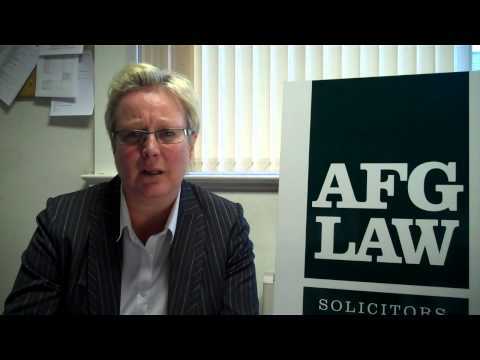 You can call us on 01204 377600 or email paralegal@afglaw.co.uk. You can alternatively use our online contact form. When would a prenuptial agreement be appropriate? In marriage, each individual’s assets become the combined ‘matrimonial’ assets; the prenup agreement is a mechanism which tries to secure individual claims on private assets in the event of a divorce. Is a prenuptial agreement binding? For a ‘pre-nup’ to be enforceable, it should be freely entered into and with the benefit of legal advice on both sides. Both parties must have obtained and exchanged full and frank financial disclosure and both parties must be fully aware of the financial situation of the other party prior to signing the prenuptial agreement. For further information about prenuptial agreements please contact the family law specialists at AFG LAW in Bolton who can give specific and factual advice to help you on 01204 377600 or email paralegal@afglaw.co.uk. You can alternatively fill out our online contact form or use the request a call back form on the right of this page.